Toca’s Take On Innovation - Innovation Loft | UNLEASH YOUR TEAM’S POTENTIAL! Here at the Innovation Loft, we try to stay focused on providing innovative solutions when addressing our clients’ needs. Innovation is not something that will passively grow in the culture of a company. From leadership and on, all colleagues need to be proactive in maintaining and promoting creative thinking and collaboration. For a boost of brainpower, we asked guest speakers from companies we believe are masters of innovation to share their secrets with us. 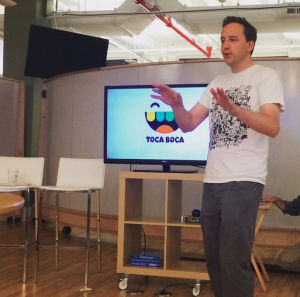 We had the fantastic opportunity to have JP De Pedro from Toca Boca Games to speak at the Innovation Loft. JP was the creative force behind such top selling games as Toca Kitchen and Toca Hair Salon. He informed us that in conceiving games at Toca Boca, there are a few unassailable rules that they feel keeps them innovative. 1) ‘Trust the child’ – in other words, don’t design a game based on how an adult feels a child should learn or play and instead, trust that the child will learn and play in her own way. 2) “Make it fun at first touch” – A child should be able to pick up a device, tap on the icon for a Toca Boca game, and immediately be engaged. 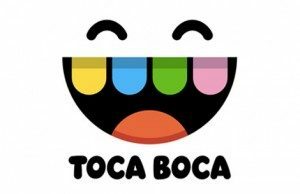 These rules push Toca Boca to keep games simple from an accessibility stand point. If more companies applied these two basic tenets to their ideation process, we’d end up with much better and more productive solutions. At Innovation Loft, Moving Interactive and Funny Garbage, we are working toward putting Toca Boca’s ideas into practice. Visit The Power of Rhythmic Collaboration for more information on what outside innovative methods we’re incorporating into our daily practices. If you have any other inquiries about our space or services, please don’t hesitate to email info@innovationloft.com or give us a call at 646-692-3522.